Bats. These nocturnal creatures tend to get a bad rap. Associated for centuries with mythical creatures of the night, and used as Halloween decorations to add eeriness to a haunted house, the real life mammal often gets overlooked. 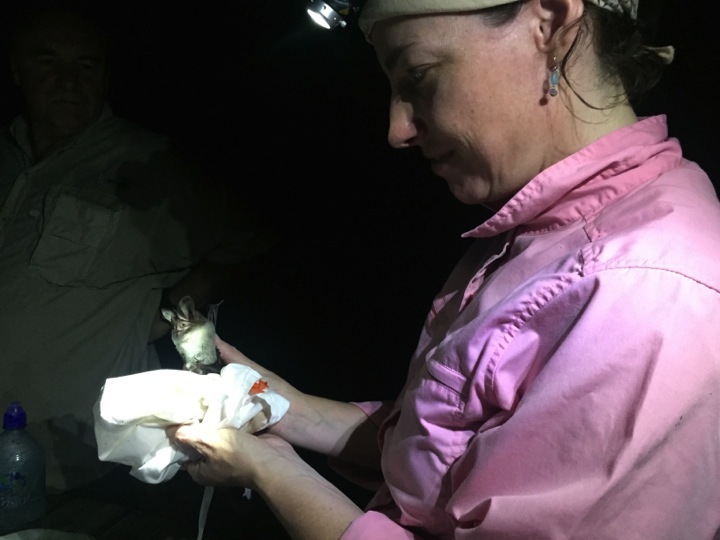 OC aims to change that by collaborating with experts and educating the public on the crucial role bats play in restoration. Recently, Osa Conservation was honored with a visit from 2 remarkable scientists in the bat world: Cullen Geiselman, bat biologist and board member of Bat Conservation International & Gloriana Chaverri, a University of Costa Rica professor and respected bat biologist who conducts ongoing research at OC’s properties. Chaverri and Geiselman visited Osa Conservation to brainstorm with OC on how we can help make people aware of how crucial this magnificent animal is to the Osa and the myriad ecosystems they inhabit. 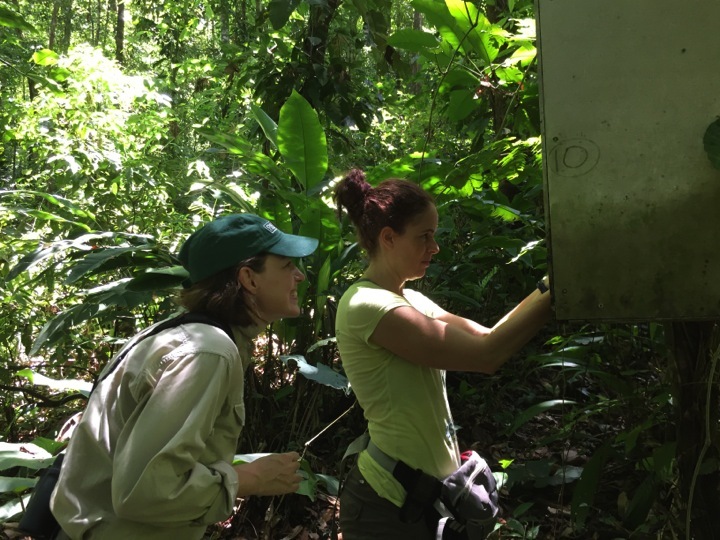 Along with OC Science & Education Director, Jim Palmer, they explored Chaverri’s research sites and visited Osa Conservation’s newest property, Osa Verde. Osa Verde will, among other things, be the site of experimental restoration plots where researchers and students will study the process of forest succession in the Osa to help improve reforestation efforts. (For more information, please visit http://osaconservation.org/visit-the-osa/volunteer/tropical-reforestation/). This site will be important for bat research and conservation efforts as we study their impact on regeneration through seed dispersal and monitor their presence in strategically placed bat boxes. 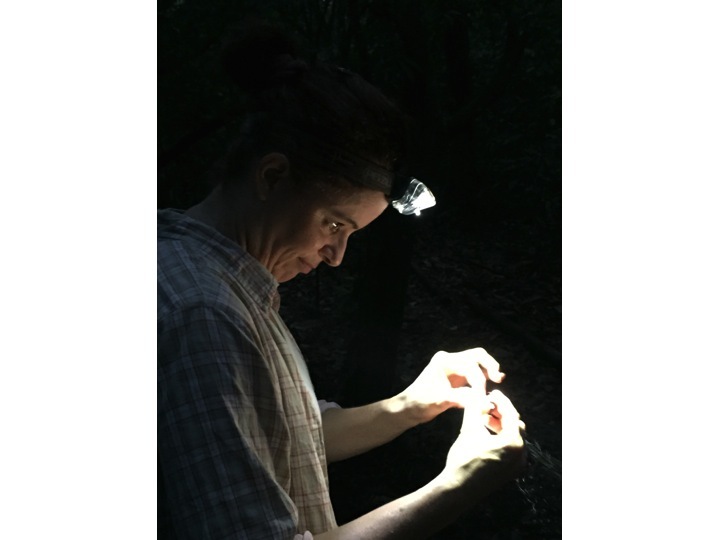 One night of the visit, under the cover of the dense canopy and the starry Costa Rican sky, these expert bat wranglers set up mist nets to capture and study bats. 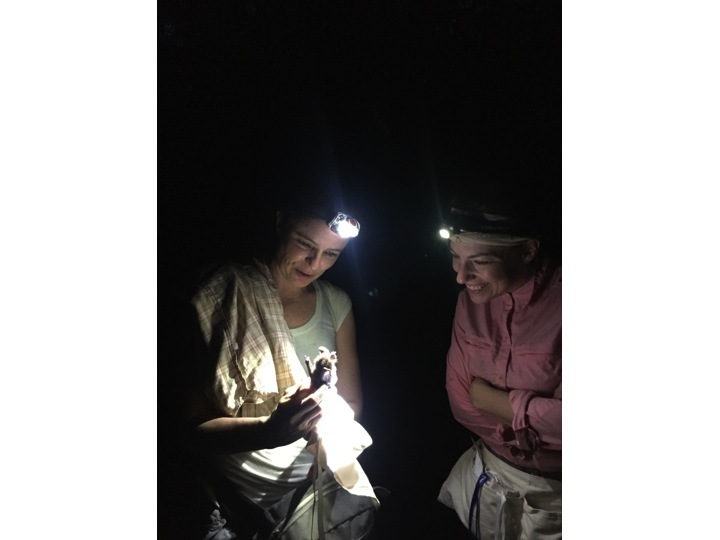 Volunteers and visitors watched in awe as they collected data on the bats and released them. It was a fun, successful visit. OC staff and station visitors learned a lot from hearing about the work of Geiselman and Chaverri and taking part in an evening of mist netting. We all gained a great appreciation for these cute mammals and OC looks forward to sharing this information and spreading the message! Bats rock! Bats eat bugs! In the U.S. bats are estimated to be worth more than $3.7 billion a year in reduced crop damage and pesticide use. Bats are important pollinators! Some of the commercial products that bats help provide include: bananas, peaches, cloves, carob, and agave. 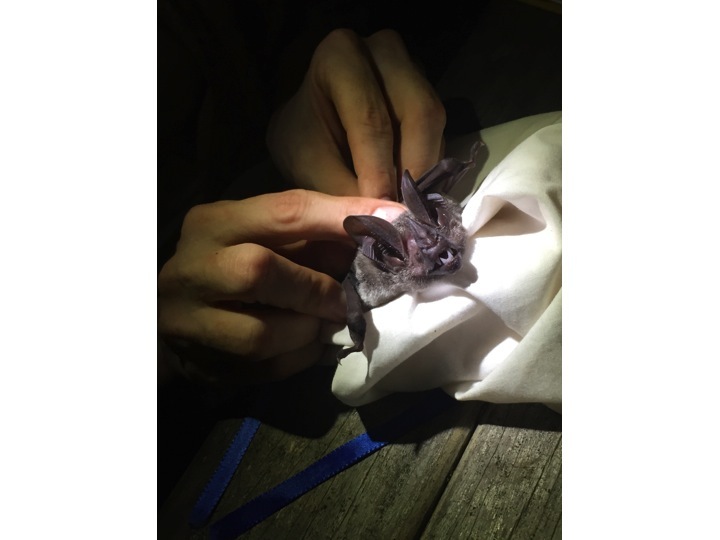 Bats play a key role in reforestation! Fruit-eating bats help repopulate tropical forests by dispersing the seeds of fruiting trees over wide areas. Bats are important seed dispersers for avocados, dates, figs, and cashews – to name a few. This entry was posted in Environmental Education, Science and Research, Volunteers and Visitors and tagged bats, Conservation, research. Bookmark the permalink.